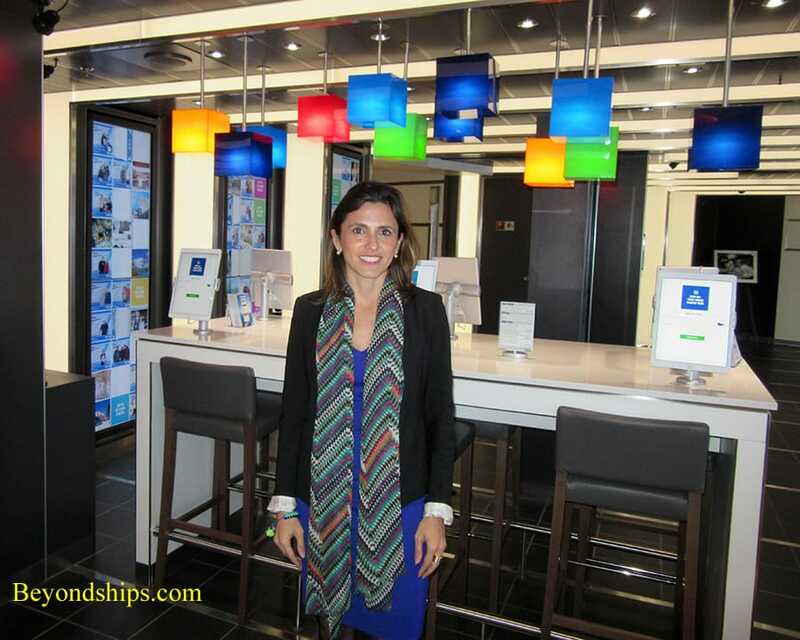 Gabriela Gonzalez is the Vice President for Guest Technology and Photo Operations for Carnival Cruise Lines. For a long time, the cruise industry lagged behind in satisfying consumers' technological needs. This was especially evident with regard to internet connectivity. Connecting to the internet from a cruise ship was difficult, expensive and when a connection was made, it was often much slower than what consumers were used to on land. Another application of technology involves the photographs taken onboard by the ships' photographers. Having your photo taken boarding the ship, in the various ports of call and onboard during those special evenings has long been a part of cruising. However, there have also long been problems associated with how these photos were sold. First, not every photo that was printed was sold and so the process was wasteful. Second, the racks and racks of printed photos that lined the ships' photo galleries took up a great deal of space. Third, guests had to wade through hundreds, if not thousands, of photos of complete strangers in order to find the photos that were taken of them. Research showed, however, that some guests liked going to the photo gallery as a family activity and enjoyed browsing through the photos taken of the other guests. Therefore, Carnival has not eliminated the photo gallery on Vista. However, the photo gallery has a much smaller footprint and rather than look through racks of printed photos, guests can view digital displays of the images taken by the ship's photographers and can use the ship's Ipads to find their own photos.